For a man of his time Darwin had incredible foresight - the world is changing at a rapid pace. As they say, the only constant is change. Nowhere is this more true than in business. 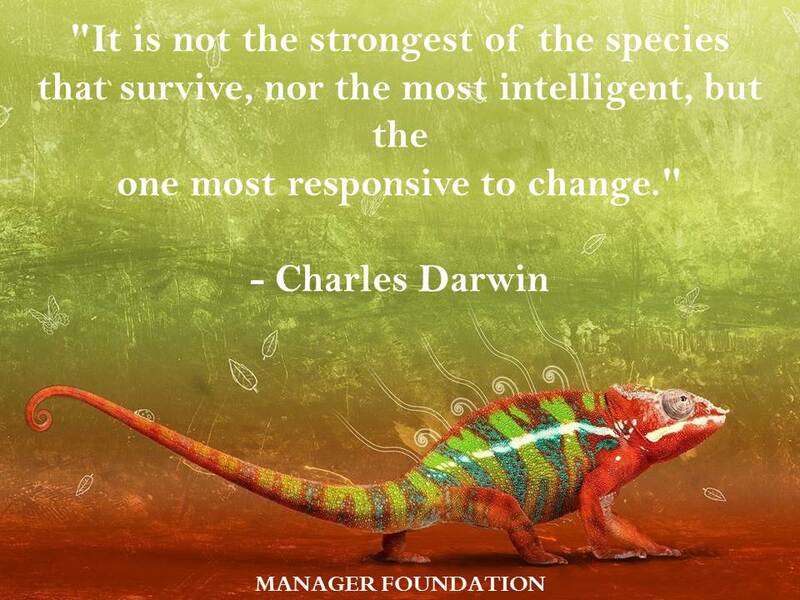 Successfully dealing with change is crucial to success. The question is – why do some people fight the wave of progress while others embrace change and ride the crest? This is one of the things that can make managing a challenge. Because people are different, they have to be managed differently to get the most from them – but how do you know what to change? Highly strung or even tempered. There are many human behavior models and most tend to focus on four dominant styles. The DISC profiling system is a well established model that has been well tested. Personally I like it because it’s simplicity makes it easier to apply in practice. To be more effective with others it is you that needs to adapt when communicating with them. So the key to dealing with differences is to be more like a chameleon and adapt to the environment. When you learn how to do this you will build better relationships and be much more effective at getting people to do what you want. More on DISC - DISC is like an instruction manual for people.